Trouble free experience. Website easy to use. Prices are very competitive, and with fast delivery. Would definitely use again. Great service. Paul gave us very sound advice for our parquet floor project. Delivery was exceptionally quick. Products were spot on. I would recommend them. Very easy to order great prices and a very fast delivery service! Lecol 5500 Adhesive is solvent-based and can be used for all types of wood. It is suitable for installation on absorbent and non-absorbent subfloors meaning that it can be universally applied. 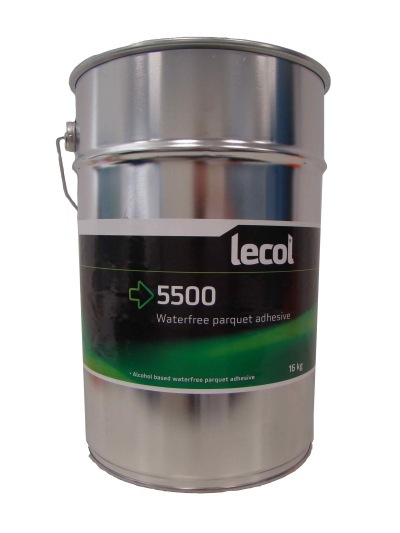 In many cases Lecol 5500 can even be used to install pre-finished parquet without any problems. Supplied in a 25kg tin. Lecol 5500 can be used with underfloor heating. Before laying, the heater should have been in service for at least ten days. Turn the heating off 2 days before laying or lower the thermostat in winter. Switch the heating back on again at a low setting 3 days after laying. PLEASE NOTE: This product comes in a trade tin that may be vulnerable to dents during transportation by our courier. If your tin is dented during transit, in most cases it will be only superficial damage to the tin leaving the product itself still fully sealed and usable. Have not used the product yet. But really fast delivery. Good price. super fast delivery. Promptly delivered after ordering online. Superb product, competitively priced and speedy service. Product arrived in good time and good condition. Excellent support ! Thank you. Fantastic product really does the job. Next day delivery. What more can you ask for. Easy pleasant transaction. Thank you. Top quality products, fast delivery, helpful advice. Good communication regarding delivery timescales, also very happy with the adhesive. Great service, speedy delivery, right product. I messaged to confirm that my items were in stock, I got a confirmation reply in a very swift time and my items were delivered as stated. Efficient and prompt. Lecol 5500 great product. Excellent product & excellent service. Very pleased. Came quickly, low delivery cost and free spreader! Very good service provided, excellent product. No fuss next day delivery, just like like they say. Excellent service, thanks..
Fast service, will use again. Sorry to hear about your dented tin Robin. We have raised this case with our couriers, whom we expect to take good care, especially when handling hazardous goods. Tins can sometimes be dented in transit but are in most cases still fully usable, and if they are not usuable, a speedy replacement is arranged. However you did not contact us about this problem to allow us to put things right, which is disappointing. Delivery was quick following purchase although driver refused to bring the cans of adhesive up to my door due to 'health & safety' reasons! Price similar but not as good as elsewhere however I needed the glue quickly so had to go with it. Excellent service, lighting fast delivery with very helpful and friendly delivery drivers. Thank you. The floor looks fantastic. Delivery was quick. Price ok and product was easy to use. Good price and very quick delivery. I would highly recommend. Despite saying free delivery it was not. However still good value and speedy service. Thank you for your fast response to my needs. I ordered the product online lunchtime on Tuesday and it was deliverd at 9am on Wednesday . 5***** Thank you. Regards Bill Hepden W. E. H.
Cheap, next day, no hassle. The product is exactly what I was looking for and a bonus was the applicator trowel. Delivery was on time too. Quick delivery. Product is very good and sticks well. Excellent service delivered on time. Thank you. Fast delivery. Left it exactly where I had instructed. Perfect. Fast search to find what I needed. Great price, fast delivery. Always good. Easy to order and speedy delivery. Excellent. Works well on flat surfaces. Great price, delivered as promised in perfect condition. Would not hesitate to use again. Arrived on time, packaging intact. Cannot comment upon product itself as have not used it yet. Very good price & quick delivery. Great shopping experience. Fast delivery, good price. Nothing to complain about. Anytime again. Your service was fast and efficient. Excellent service and good value products. Again, a fast efficient service. Good value. Excellent product, nice price and fast delivery! Tin of adhesive hadva few big dents in but wasn't leaking. Handle bent all out of shape. Didn't look like it had been treated well. Oh, and next day delivery was said to be Friday, but didn't turn up till Monday. was good promt delivery but i wanted to speak to someone form floor sales and only got an answer machine i left a message and didnt get a call back. would be nice to not have to leave a message and just speak to someone. Great service. Really prompt delivery as promised. Unlike competitor who said 'You'll have to collect it from our shop' 150 miles away! Excellent service and price, can recommend. Good price, straight forward website, free next day delivery and arrived on time no damage. Kept informed of dispatch and expected delivery. Delivery was in the am of day promised. Delighted. Very quick and efficient . Keep up good work as I'll be needing more stuff from soon! Fantastic service. Prompt delivery on time stated. Excellent service and brilliant product. Delivered next day as stated. Best price on-line or on the High Street. Fantastic quick dispatch and best price we could find, especially including delivery. Delivery chap not great which took the shine off otherwise great experience. Excellent product, delivery on time and excellent customer service. Very happy. Good website, products turned up quickly. Beat the prices anywhere else. Ordered on New Year's Day (Saturday) and it arrived on the Monday, so overall fantastic service. Will certainly be back when I need more parquet floor adhesive! You have helped us every step of the way through a huge project laying reclaimed parquet floor. 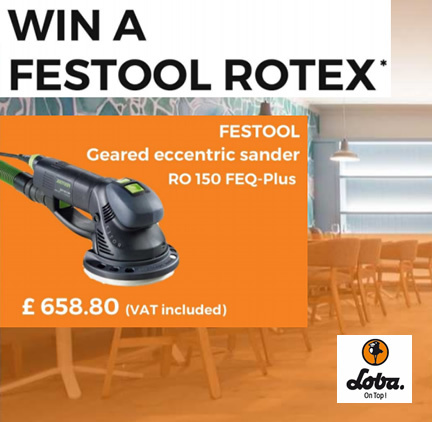 Your website is clear and helpful, so we chose the right glue, the right tools, the right fillet and the right finish. Every time we ordered from you it arrived the next day, beautifully packaged and always in good condition. We've nearly finished now, so I hope we won't need any more supplies. But if we do - we'll be straight back. First class service for a first class product at a first class price. Great price and service will use again. Would definitely recommend this company to buy any product. Order on Sunday and delivered by Tuesday.Amazing prompt service. One happy customer. Thank you. The products that I received were excellent along with the first class customer sevice. All orders were received in the allocated time stated and I would recommend this company to all my friends and family. I wish that a lot of Internet companies would take note of this company in how to treat the customer right first class products with first class sevice. Second time using Floor Sales Online and cannot fault them. Great price and very speedy delivery. Second pot I've bought and the service is quick and efficient. It works perfectly for me!! Absolutely fantastic service, first time customer that will definitely be using the site again. Helpful and quick responses to my email queries, product easy to find and order and arrived when promised, can't ask for anymore. Haven't used it yet so can't comment on product. This company provides excellent service, Lecol 5500 is an amazing product. They dispatch immediately it's delivered the next day, and they even give advice on doing the job. How brilliant is that. Delivered as promised. Hope it does what it says on the tin now. Would use again. Great service thanks, will order again. Competitive pricing, fast delivery with good communication at all stages. Could not ask any more from a supplier,would definitely recommend. Fast and reliable, delivered less than 24 hours from order been placed. What can I say more !!!!! Impecable services.... Well done. 5 stars for delivery and service, ordered mid afternoon arrived B4 9am the next day. Helpful with queries over the phone and then delivered order next day as promised. Can't fault their service with this purchase. Excellent. Clear website. Clear pricing. Next day delivery. What's not to like? Great service, slight issue with product but sorted very quickly and thoroughly. What can I say - a very easy and trouble free process. I placed the order and it arrived as scheduled - job done, can't ask for anymore, plus no delivery charges!! Ordered before 14:00 and delivered next day as promised. No messing about-super quick delivery and good communication.Recommended. Great product and an amazing next day delivery. I have purchase many items on line but this company has to be one of the best I have ever shopped with. The products are excellent and the delivery is superb. I will definitely recommend this company to my family and friends. Best prices I could find online, ordered at 2pm and received delivery 9am next day. Excellent! Everything fine thanks. Arrived very promptly. Great ordered and delivered within 2 days. I received the products on exactly the day that Floorsales said that I would.The price was good so very pleased. I will use you again. Just fabulous service very quickly dispatched and delivered great product and price always thank you. Delivered on time and at a competitive price will use them again. Vary fast delivery, great price and amazed that you can deliver that weight of product for free - would recommend. A really fantastic product and service. This is THE adhesive for reclaimed and new parquet blocks adhering well to any sound, old bituminous backing. It was also delivered in less than 24hours!! Ordered on Wednesday evening turned up friday morning,as advertised and at a great price. Can't ask for more than that! Very quick and easy ordering of Lecol 5500. Order arrived 2 days later dispite it being 2 weeks before Christmas. Best prices and quickest delivery on the internet,excellent. The transaction was very easy and the adhesive arrived as stated on the order. I would use this company again as it was very competitive on price and the service that I received was great. Easy to order and arrived on time. Good service which I will use again when I get the rest of the floors on the house done! Great product, price, delivery and communication. Thank you. Fantastic product and service. Thank you. Very happy with the product and delivery was quick, 10 out of 10. I can only repeat the same feedback that others have provided and which was the reason I bought from floorsalesonline....a very good price and one of the speediest deliveries I have ever experienced. No negatives at all. Great service, did as they said. Fantastic product, fantastic price, fantastic service what more do you want. Brilliant service. Great prices. Very pleased with goods. Very efficient service and prompt delivery. Great service; goods arrived next day and exactly as ordered. Perfect shopping experience, best price! Very prompt delivery and efficient service. Competitively priced too. I haven't yet laid the floor, but the ease of ordering and the helpful delivery man deserve 5 stars. Great price. Free delivery. Ordered Tuesday received on Wednesday. All in all very happy with the service!!!! Quick service. Good product. No problem. Very efficient and spot on service with rapid delivery.Placing my fourth order today as price is very competitive.Thanks. Fast service. Product exactly as stated and did just what I wanted. Excellent service. Paul was extremely helpful and rang me back several times with different costs. Speedy delivery too. Would definitely recommend. Despite all advice to the contrary I thought I'd have a go anyway at laying reclaimed parquet bock flooring onto suspended floorboards in a hallway. Ok, so I made sure the boards were very secure and inflexible and took time making sure it was all flat, but because of height limitations with the bottom of the stairs I was not able to put down ply on top. This adhesive has allowed me, a competent DIYer but parquet floor novice, to make a good job of it. The floor is rock solid now in a heavy traffic area and shows no sign of failing anywhere. Its great to work with and worth every penny. I am hard to please but I am so impressed I am making the unusual effort to write this review! Worth the money. Very elastic adhesive, forgiving when laying parquet.